The off road Mammoth trip is a little different than some of the other off road trips we’ve done. We like to call it an off road stay-cation. The group will head to Mammoth and spend two nights there doing out and back trips. This three-day trial run heads out to explore old ghost mines, petroglyphs and geological formations. The mileage each day is mostly easy trails with the usual challenge section, and a little crawling, as not to be a repetitive trail run. The focus of this trip is a fun social run while being able to play in the dirt. Our trail runs are planned around having fun, seeing sites, and traveling specific amounts of mileage per day / event. This means if you participate, you are aware of the mileages needing to be covered per day and that you are expected to cover them in a reasonable time frame. Our group is NOT a "fly as fast as you can" group, but at the same time we are not a crawler group. We enjoy off roading with all types of trucks/SUVs, therefore the routes and daily mileage requirements are selected with non-modified 4X4 vehicles in mind. By signing up, you understand we ask that when the trail conditions allow, you drive at a safe pace that can allow you to cover the terrain / distance as expected by the group. Day one will start in Carson City, NV and head down to Mammoth CA. Along the way we will stop at several ghost mines. This trip will offer some great views of the Sierra and Mono Lake. 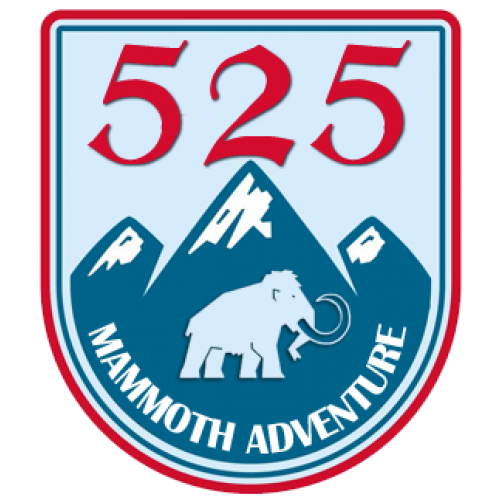 The final part of the day will include a fun forest run into Mammoth. Day two will be an out and back near Mammoth to see some petroglyphs, geological formations and Mono Lake. After returning to Mammoth, the group will head to Devils Post Pile. Day three is a half day of trails before the group packs up to head home. $120 - Covers Decals, Event Insurance, PayPal. Optional items you can choose from upon registration are hotel rooms, boxed lunch and collector decals. This is the longest mileage day of the trip with two ghost mine stops and a stop at an abandoned ranch. Trails are mostly easy terrain, but it does include the only section of rocky trail for the trip. The route will take us east of Mono Lake and lead into Mammoth. The total mileage for the day is 239 miles of dirt and a few miles of pavement. Lunch will be at the old mine town of Pine Grove. After lunch we will head to Mono Lake for some photos and snack brake before the last section into Mammoth. This day includes a 145 mile loop that will bring us back to Mammoth Lakes. The stops for the day are hot springs, petroglyphs, a canyon for photos and an abandoned ranch. In the afternoon, we will make the short pavement trek to check out Devils Post Pile. For those who are still full of energy, you can enjoy one of the many short to medium hikes in the area which provide some great views of the Sierras. The plan is to have lunch overlooking Mono Lake before heading back into Mammoth. Depending on time, we may have lunch sooner or later as trail time will dictate our speed. Before everyone makes the trek home, we will be heading over to June Lake to experience one of the most scenic drive loops you can do on or off road. Here we will hit a short side trail to get a final group photo and see Parker Lake, which is one of those hidden gems of the Sierras. After this stop, participants can make their way home as they see fit. The total mileage for all three days will be 489 miles of trails and around 35 miles of pavement. For those looking at a first time run, this is a good intro to our group and the family friendly events we like to host. Reminder that today is the last day to register for group hotel rates. After today you will need to book your own room and hope the hotel honors group rate. Final day to sign up is 9/13. My 03 Gmc Jimmy in the woods, in sept-iles!